For example, LYRIQ Crosswords offers a new, electronic way to play America’s favorite game and increase vocabulary; The Princeton Review series helps remove the fear and uncertainty from taking all-important college and graduate school admittance exams; Discovering Endangered Wildlife taps into kids innate sense of curiosity and exploration, as well as their concern for environmental issues, and Picture Perfect Golf is the first game to offer a life-like golf experience using actual photography. LYRIQ’s product excellence is attributed to fostering a unique development environment that focuses on independent development teams that consist of only a few highly talented and open-minded individuals. Teams are comprised of designers, architects, artists, sound specialists, programmers, and actors. These dedicated software creators focus on quality, usability and most of all — giving the customer products they want. LYRIQ strives to ensure that its products pass the “real-world” test. To that end, LYRIQ developers work closely with “extended product team members including kids, parents, teachers, crossword constructors, golfers and other athletes, experts such Will Shortz, puzzle editor of The New York Times, high-profile organizations such as The National Wildlife Federation, and other experts and professionals in specific product areas. All LYRIQ titles are available at resellers throughout the U.S. and Canada or direct from LYRIQ by calling 1-800-433-4464 or 1-800-CROSSWORDS. They also include free, unlimited technical support and a 30-day, no-questions-asked money back guarantees. 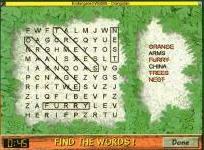 With puzzles from The Washington Post, Crossword Magazine, the Penny Press and special Edition Crosswords for Kids, LYRIQ Crosswords takes the game up a notch with state-of-the-art design for DOS, Windows, and Macintosh users. Player’s have access to new crosswords via on-line services including America On-Line and the Internet. 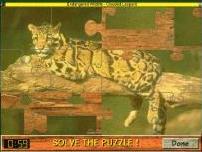 Players can time and score their games, receive different levels of hints, enlarge puzzles for easier viewing, and see the current clue enlarged. In tournament mode, players can experience the thrill of competing under actual tournament conditions. The game also has a pause timer, so that timed play can be stopped if the player is distracted, and a travel option for printing and playing crosswords on the road. The Courteous Cursor automatically places characters in the correct squares. Also available are Puzzler Paks and a crosswords club. LYRIQ Crosswords was rated #1 by both PC Magazine and GAMES Magazine. The suggested retail price is $39.95 with a street price around $19.95. There is also a Los Angeles Times Edition of LYRIQ Crosswords that is published by Random House. The Princeton Review, the nation’s leader in test preparation, is now available from LYRIQ so students can gauge their test-taking strengths and weaknesses, and access their performance for the Scholastic Assessment Test (SAT), Graduate Record Examination (GRE), Law School Admission Test (LSAT), and Graduate Management Admissions Test (GMAT). The Princeton Review series are the only programs available to familiarize students with the Computer Adaptive Tests (CATs) and to simulate the experience of taking a full-length test. Available in both Windows and Macintosh versions, the programs retail for $34.95 with an average street price of $19.95. 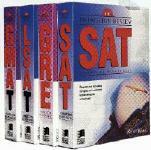 The Princeton Review Computer Diagnostic Exams and Inside the SAT were developed by LYRIQ International and published through The Princeton Review Publishing Company. Picture Perfect Golf for DOS CD-ROM systems is the only game featuring real photography and first person play. The “country club” of golf games, Picture Perfect Golf uses thousands of actual images from the world’s finest courses, featuring Harbour Town Golf Links in Hilton Head, South Carolina; and Coeur D’Alene in Coeur D’Alene, Idaho. The game uses the same sophisticated technology found in indoor virtual golf games. With first person play, PC golfers see their shots leave the club head and travel down the fairway or across the green with varying golf club trajectories and real golf shot rolls and bounces. Players can preview each hole layout with aerial views, and fine tune shots with visits to the putting green and the driving range. There are easy preset ball address options for draw, fade, punch shot and others, which can be adjusted as desired. Players can take a mulligan, a gimme or re-hit with just one mouse click. Picture Perfect Golf also records and can print statistics for up to eight players per game. Picture Perfect Golf requires a CD-ROM, an IBM PC or compatible and DOS 3.1 or later. The suggested retail price is $79.95 for the main product and $34.95 for additional golf courses. The product streets for between $39.95 and 49.95 with golf courses selling for $19.95. Discovering Endangered Wildlife takes children ages 8 and up on a mission to help save Planet Earth’s endangered animals. Endorsed by the National Wildlife Federation, kids experience incredible sights and sounds as they set out on an expedition in learning. Discovering Endangered Wildlife challenges, educates and entertains children with puzzles, full-motion video clips, digitized sound effects and music, and 256-color Super VGA graphics. The game has an easy-to-use point and click interface, and was designed and tested for use at home and in school. 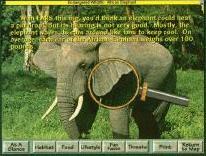 Discovering Endangered Wildlife requires a CD-ROM for PCs running Windows. The suggested retail price is $49.95. Product streets for $39.95 or less.